All people should want kids to feel safe, right? 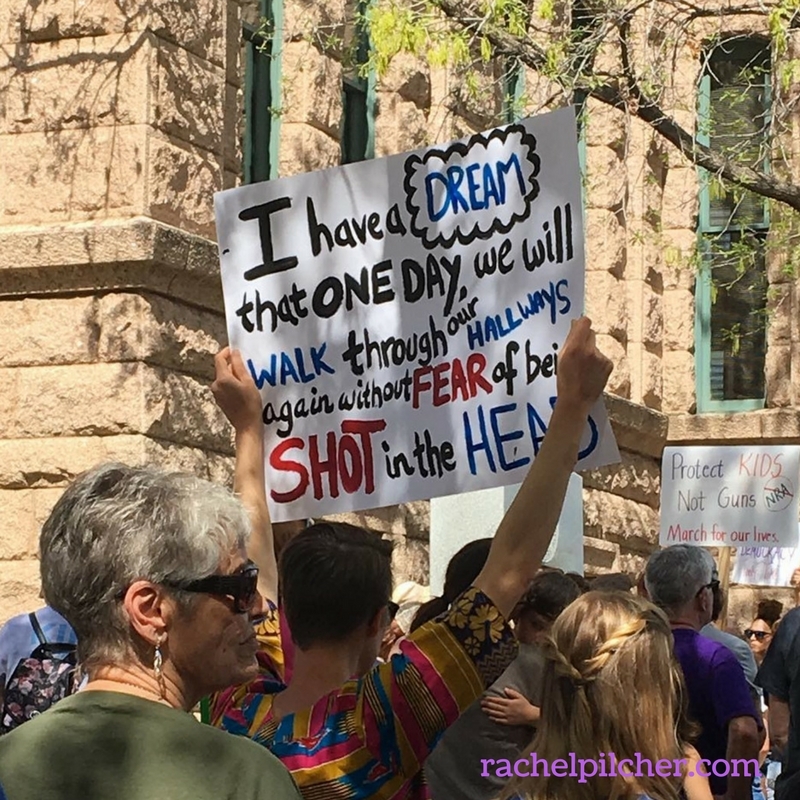 This past Saturday I participated in the Fort Worth March for Our Lives rally. 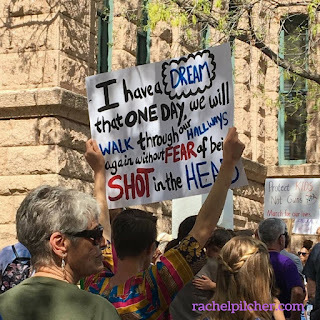 I was greatly impressed by the eloquence and maturity of the young people who organized the event (and I’ve known one of them since she was three years old, so this was a pretty proud moment). I Instagramed and Facebooked several photos in real time and was pleasantly surprised at how civil my friends were, even those I knew had vastly different political beliefs. The thing is, March for Our Lives is not a liberal issue. It is an issue everyone should stand up for: to protect our children from violence in our schools, as well as in our streets and homes. You can be pro-life and support children who are already born from dying in their classrooms. You can be a gun owner and still think that regulations should be in place to keep people with mental illness or multiple police visits from getting fire arms. You can stand by more than one political issue. In fact, that’s what makes our country a truly independent nation- the ability to have more than just a straight-ticket opinion about issues. Have we really become so polarized to believe that if liberals or conservatives support something, then whichever side we identify with, we should oppose the other? What has become of our society? Have we really gotten to the point that, when children are afraid and speak out about their fears, adults think it is appropriate to mock them? A great nation (supposedly a Christian one) should not act this way towards its citizens. This emotionally immature behavior has to stop. Our leaders need to stick to the issues. Our leaders need to spend less time making fun of other people and get to work. There is no room in our future for people who cannot be decent to one another. It is a greatly held belief that “to get respect, you must first give it”— but who decides which person does this first? You do. I challenge everyone reading to approach your fellow human with respect, and more than likely, you will get it. If you don’t get respect back, well…that’s on the other person. You be the better human, even though it’s easier (and sometimes more satisfying) to have a great comeback.